The City of Lincoln Council met with the Commons Advisory Panel on October 10 to get initial reactions to building a play area and skate park near Lincoln’s Grandstand. The committee meeting looked at a proposal to build not only a play area for the West End, but also another skate park for youths nearer the city centre. The new skate park aims to find a positive solution to give youths which skate in the city centre a properly equipped place to go. 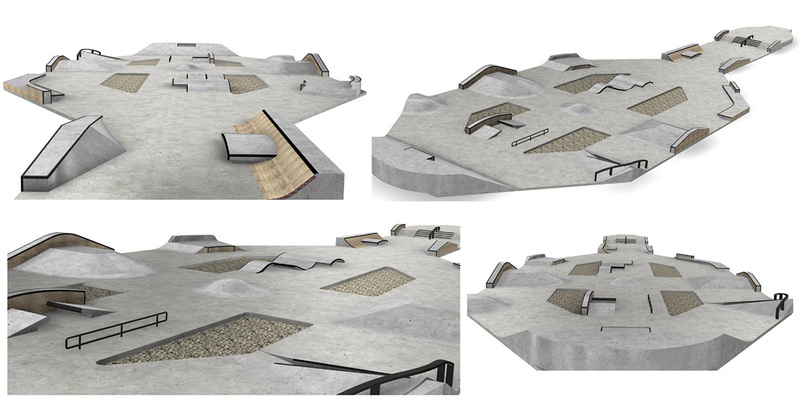 The skate park will also house a fast-growing skate culture, and help keep youngsters healthy. Presently, there is only one skate park, The Backies, in Lincoln but it is based in the south of the city. The City of Lincoln Council put aside a grant of £10,000 after the death of local skater Karl Cody. However, the plans for a park didn’t come into fruition, even after the council’s new Play Stategy in 2007 to erect a second park. This money is still available to partially fund a skate park, and now the council has agreed the best place in the city to place the skate park is near the Grandstand. Other place considered previously but deemed unsuitable include Yarborough Leisure Centre, Whitton’s Park, the university Brayford campus and Sudbrooke Drive. Meanwhile, the West End lacks a play area for younger children to play on. The council has around £152,000 to invest in a play area for children in the area, off the back of a consideration of the planning application for the Oasis development. The initial plans will see the skate park placed on the right of the Grandstand, while the play area will be erected on the left. The skate park is 200 meters away from the nearest residential homes, which hopes to reduce the noise of skateboards using the ramps. The skate park has around 7,000 square metres of space, and while the final design has not been chosen, it will most likely use free-form concrete. Both the play area and the skate park will have disabled access and amusements, and extra fencing will be erected to stop children running out onto Carholme Road. Both are next to the community centre and have good transport links, like a bus route, parking facilities and natural surveillance. The meeting with the Commons Advisory Panel is part of consultation work before the council submits a planning application. Overall, the panel understood the need and the positives of having a play area and skate park in the area, but had a few concerns. Concerns included potential vandalism, the noise spooking horses stabled in the area, attracting “mobs” and needing to know who is liable if a child has an accident. The biggest concern was the choice of area in relation to the West Common and the Commons Act, which is maintained by Parliament. The use of concrete initially sparked the Commons Act debate, which would be against a section of the Commons Act. Lead officer Antony Angus from the council’s Recreational Services highlighted that other materials are used on The Backies’ park, but they are not of the highest standard expected of the new skate park. A suggestion is to camouflage the park, but due to the height of the ramps, both camouflage and graffiti would be difficult. The skate park and play area will now be subject to consultation, with both youths, designers, local residents and heritage groups involved. If consultation is positive and a design is chosen, the park and/or play area will go through planning.